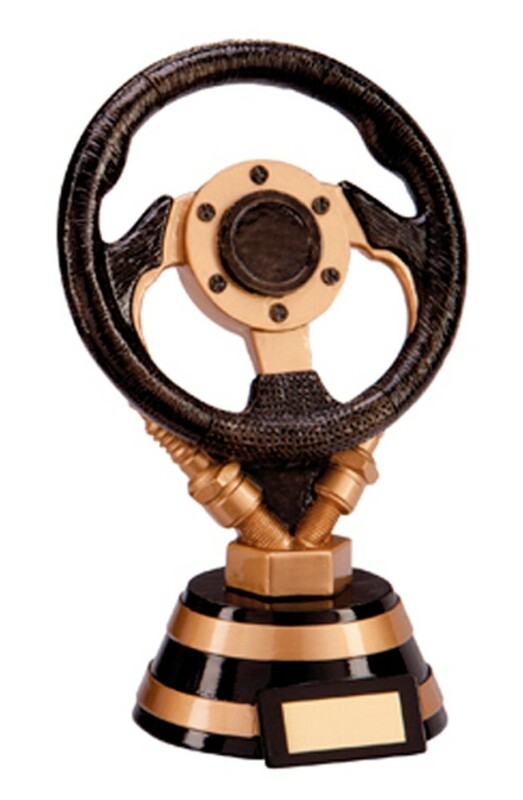 Resin Motorsport Steering Wheel Trophy. Available in 3 sizes, 155mm, 165mm and 220mm high. The award is mounted onto a black and gold base with antique gold spark plugs and a black steering wheel.